I think what surprises me most about the Sudan Policy Review is that a document that contains so many of the basic principles found in any “policy 101” textbook (mix of carrots and sticks, escalating series of responses, verification before acceptance etc.) took so long to be concluded. But the length of time it took (and the reports of internal disagreements about it over the period) highlights what may be the most important aspect of the endeavor – there is now, finally, a single script for U.S. government officials to follow on Sudan. Compared to the depressingly confused scenes coming from the Press Briefing Room earlier this year, the ability to tow a single line, in public at least, is reassuring. Rice clearly analyzes the situation as an ongoing genocide. Seemingly consistent with this view, the wording of the Review’s first strategic objective [“A definitive end to . 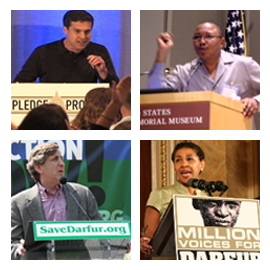 . . genocide in Darfur“] also describes a genocide that is ongoing. One would expect the policy prescriptions in the document to flow from that analysis. But they don’t. Since when has the policy approach to ending an ongoing genocide been engagement with the regime currently conducting the atrocities, or seeking a negotiated solution? What would we have thought if the Clinton Administration had released a document saying its plan to end the Rwandan genocide involved engagement with Hutu Power and support for a negotiated settlement between Hutu and Tutsi? If I had been given those policy points on an exam and asked to guess what the situation was that they sought to address, “ongoing genocide” would not have been my pick. “Dealing with the consequences of genocide” or “ending a civil war” would have been closer to the mark. And if that is what the Review is really addressing, then why not come out and say so? I imagine part of the reason is the certain backlash from the advocacy community that would follow if the Administration backed away from referring to Darfur as a situation of “ongoing genocide.” But if the policy itself is not calibrated towards ending an ongoing genocide, then what value do advocates get from having administration officials talking about it being an ongoing genocide? None.